The quality standards of the reception of migrants and humanitarian protection seekers is guaranteed by a comprehensive and long-term system, aiming not only at stemming the flow of migrants, but also at integrating them in the receiving country. Effective integration requires specialised personnel and coordinated actions and cooperation among reception centres, territorial services, schools, training centres, municipal administrations, the third sector and charitable organisations. This was, to sum up, the main take away of the seminar “Inclusive training: sharing of practices and collaborative scenarios”, held in La Spezia, from 14 to 16 September 2017. 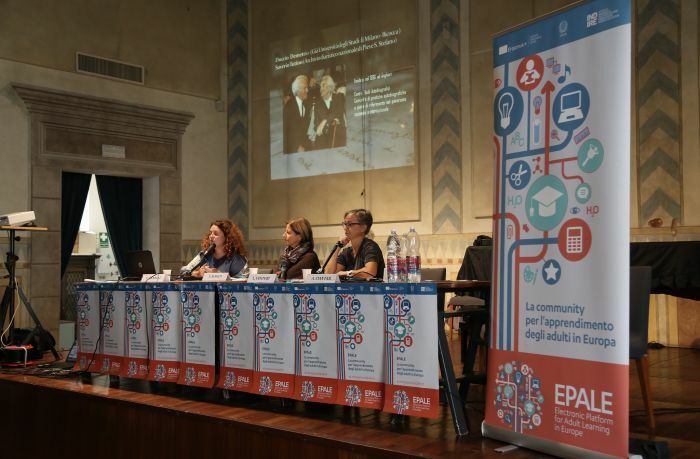 The event was organised by the Indire’s national unit EPALE, in collaboration with La Spezia city council, the provincial centres for adult education, and the scientific supervision of Gilda Esposito, researcher at the university of Florence. More than 130 representatives of organisations active in the migrants’ reception system, taking care of migrants from their landing on the Italian territory, to enhancing their cultural heritage, and providing new skills to integrate in the job market and in society, took part in the event. (Find here the photos of the event). «Those arriving in Italy, taking various routs, are in need of everything from eating to finding a place to sleep. But if our help is limited to this stage we risk to make them dependent, frustrated by the waiting time, and cultural isolation. In the centres for adult education we can aver this risk by helping them to develop skills and opportunities for personal and social realization» Valeria Fanfani, SPRAR responsible of La Spezia emphasized. 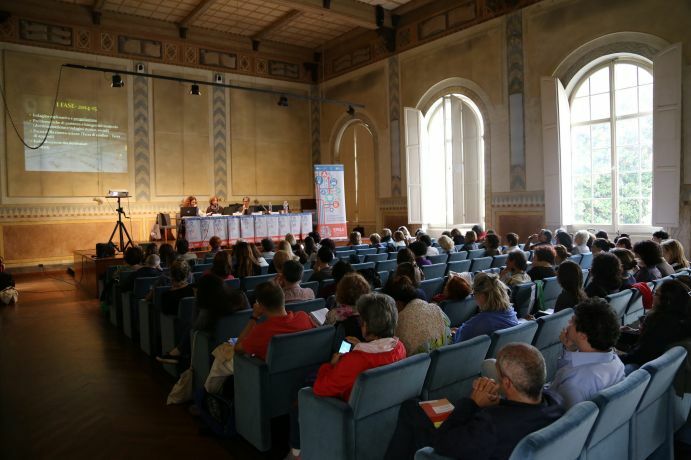 Many activities and didactic methods were presented in La Spezia. Special attention was dedicated to autobiography as a method to build a community (as it was shown by the project “Travels in poetry” on the Lampedusa case, carried out by Caterina Banelli’s research team, University of Anghiari) and a way to self-comprehension and self-appreciation within a more general historical framework. Andrea Ciantar, EPALE’s educator and ambassador presented, at the end of his laboratory on the autobiographical method, the project Lampedusa, Berlin Travel Journal aiming at describing the encounter with the other through photo/video stories. An important role in adult education is played by schools, and by the 128 provincial centres for adult education which are providing in all Italian provinces basic Italian language courses valid to apply for the residence permit but also to obtain a secondary school diploma. The network of the provincial centres for adult education promoted by the provincial centre for adult education in La Spezia, the projects of the provincial centre for adult education in Turin and Savona, the Erasmus + project of the provincial centre for adult education in Brescia, IEMRI – Information and Educational Materials for Refugees and Immigrants and the activities of the Auxilium cooperative were only some of proposals of the seminar. As a result of the work groups’ work, a manifesto for the “Reception and training of migrants and humanitarian protection seekers” is going to be drawn up, and shared on the EPALE platform. The Electronic Platform for Adult Learning in Europe (EPALE) is the European digital platform dedicated to the professionals operating in the adult education sector. The platform is a European meeting point for the best practices and experiences and aims to open up the national debate at a European level on the various themes concerning adult education, also at informal levels. The online environment offers the chance to collaborate and meet to exchange ideas, experiences and solutions. Currently, it has 30 thousand subscribers in Europe and 3, 300 in Italy. Every month 150 Italian experts in the sector subscribe to the web portal. Italy is the second country for number of subscribers, after Turkey (3,400 subscribers). The EPALE National Unit is based at Indire.